Join Tatiana von Preussen, founder of vPPR, as she describes her approach to designing a house for tomorrow. vPPR's new project, Party House, has been specially commissioned for the At Home in Britain exhibition. Followed by a gallery tour with Justine Sambrook, one of the exhibition's curators. 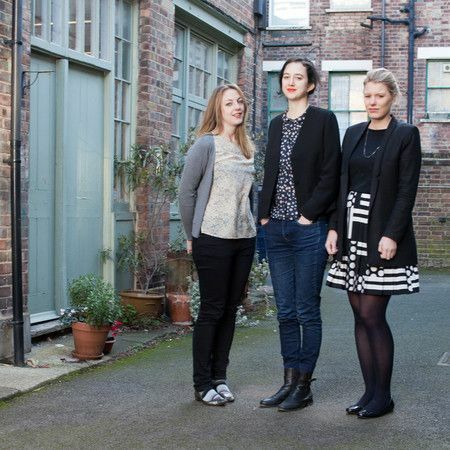 At Home in Britain re-examines how we live and speculates on the future of housing in Britain. Taking the cottage, the terraced house and the flat as a starting point and using RIBA Collections as stimulus, six newly commissioned works from contemporary architecture practices Jamie Fobert Architects, Mae, Maison Edouard François, Mecanoo, Studio Weave and vPPR transform these three familiar housing types to reflect the way we live and work in the 21st century. Category: Arts | Visual Arts | Galleries / Art. Artists / Speakers: Tatiana von Preussen, vPPR, Justine Sambrook.